Did T.I. Get Another Woman Pregnant? His 16 bars may have told on him. Seems like all those rumors about T.I. getting another place away from home might have some truth to them. Tip, real name Clifford Harris, has taken to renting a Downtown Atlanta condo, which he says is to help him focus on work, but sounds like it could be an escape route. Tiny has been on several media outlets claiming that their marital relations are fine and the the divorce rumors are unfounded. However, with a closer examination of his verse to Jhene Aiko’s “The Worst” remix, one can see that clearly, something isn’t right at home. Got damn I ain’t even told my mother yet. Well, dang. 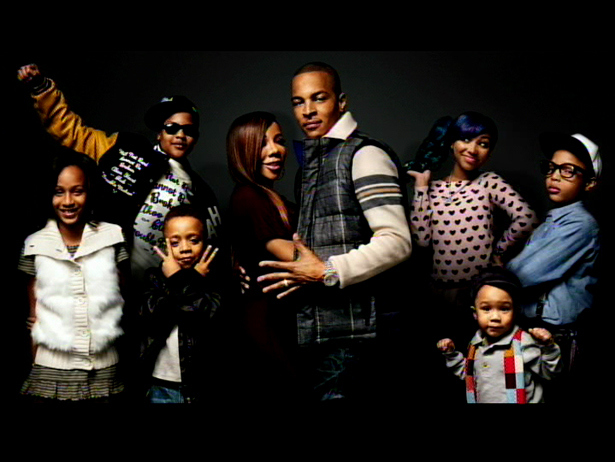 The Family Hustle was my ish, too. We’ll see how this plays out. Is T.I. just writing what he knows? We’ll let you have a listen to the track and play the critic in the comment section.